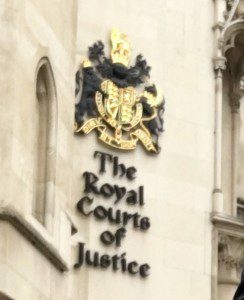 Court Fees Hike – Mediate! Increasing Court fees are leading to people avoiding Court. One way of doing this is to mediate early on, before issuing proceedings. The Courts encourage parties to mediate and can make a costs order against parties if they refuse to do so. The body which compiles statistics on judgments has blamed court fees for contributing to a steady decline in judgments against businesses. Figures compiled by Registry Trust show that there were 42,091 county court judgments (CCJs) recorded against businesses in England and Wales during the first six months of 2016, a 19% fall year on year. The total value of CCJs was £149m, a decrease of 12%. Though the total number and value of CCJs fell to its lowest since before the financial crisis of 2008, the average value rose by 8% to £3,550. The number of High Court judgments fell by 50% compared with the first half of 2015 to 33. With the total value rising 36%, the average value increased 27% to £644,000. Last year the government imposed the biggest increases in civil court fees of recent years, amounting to up to 620%. The Master of the Rolls, Lord Dyson told the Commons justice select committee earlier this year that small and medium-sized businesses in particular have been deterred from seeking justice.